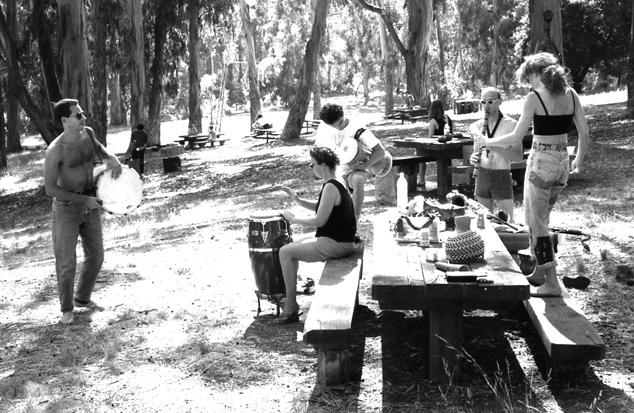 At picnics and parties in the East Bay, Max and friends explore new musical worlds with African drums, Appalachian banjo, saxophone, flute, and vocal improv. 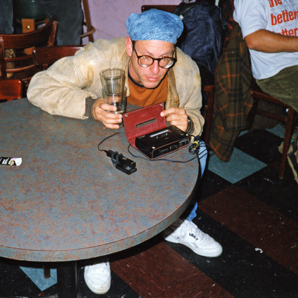 After the destruction of Max’s San Francisco loft and the loss of the Terra Incognita band’s studio in the Loma Prieta earthquake of 1989, Max moved across the Bay to Oakland. 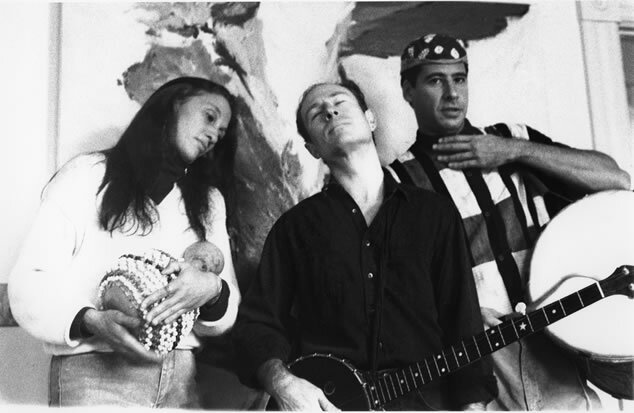 Terra Incognita drummer Michael Corbett helped him to acquire and learn African drums and percussion, and eventually they started a new band, Wickiup, based on tribal-inspired rhythms. 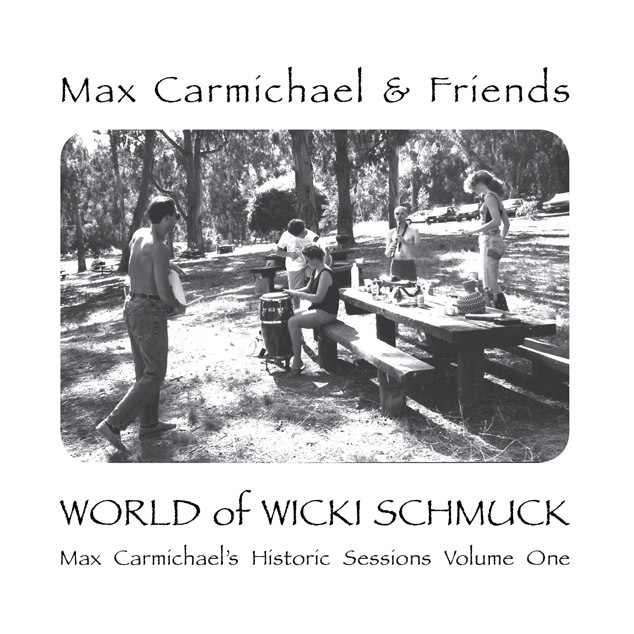 Mike habitually gives everyone and everything a parody of their name, hence “Wicki Schmuck.” This volume combines the best moments from jam sessions featuring Max and his Bay Area friends from 1990 to 1995, when Wickiup disbanded and Max moved to Los Angeles. 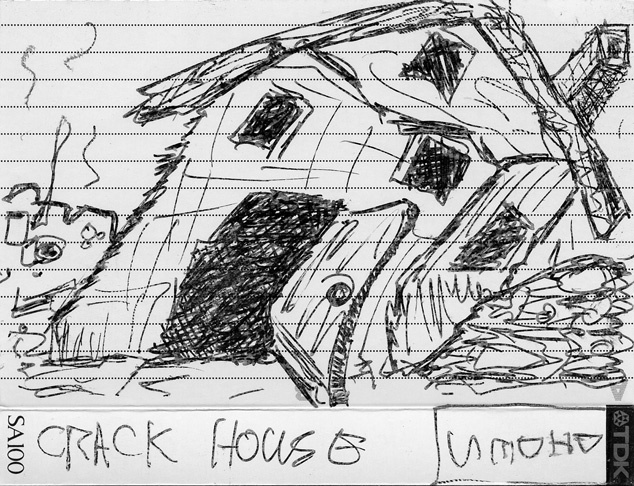 Most of them took place at picnics or parties, resulting in erratic sound quality. 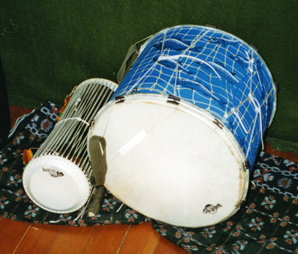 We hope your ears are tickled by the distinctive buzz of the West African gungon drum, caused by a gut snare rattling against the drum’s goatskin head! 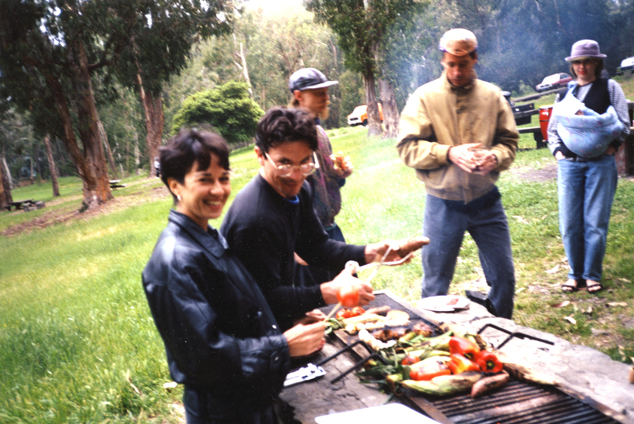 Max’s Oaktown Ranch, January 26, 1992: Max, Michael Corbett, Bruce Bjerke, Kat Keigharn, Josiah Seiver, Millie (Mila) Morales, Carson Barnes, John Walker, Quinn Walker, and others. 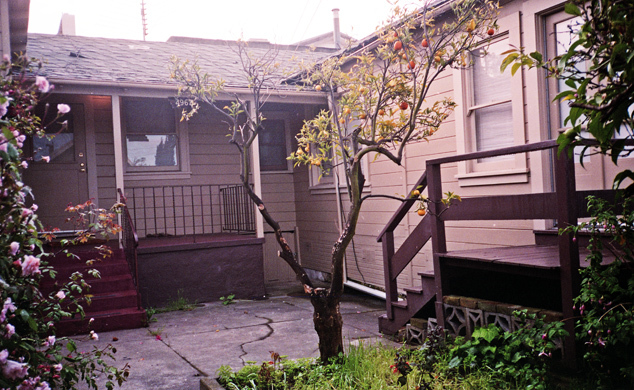 Max’s ranch, in the Temescal District of Oakland, was built on the site of a Native American sweat lodge which gave the neighborhood its name.